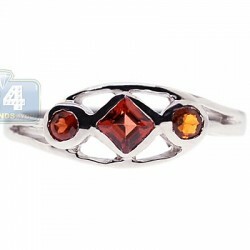 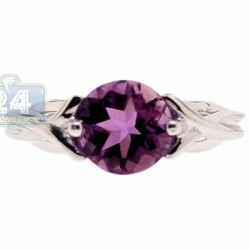 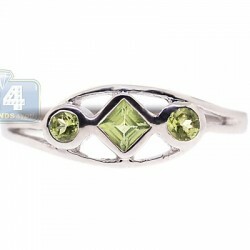 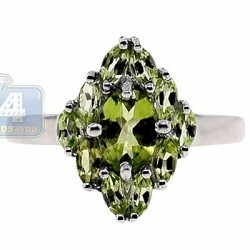 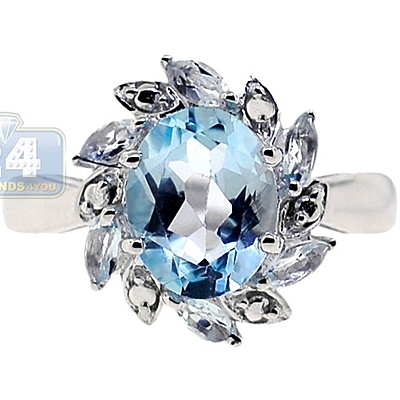 Our gorgeous floral inspired lady's ring showcases a timeless design! 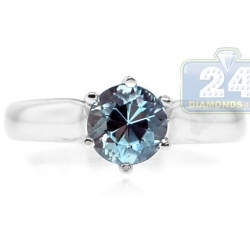 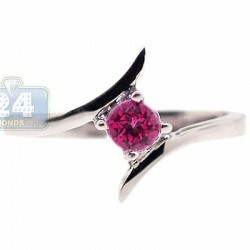 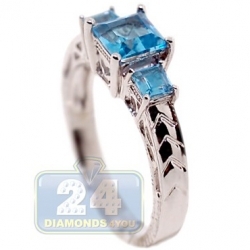 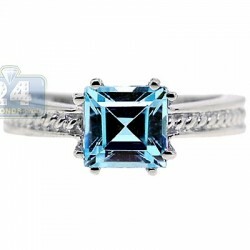 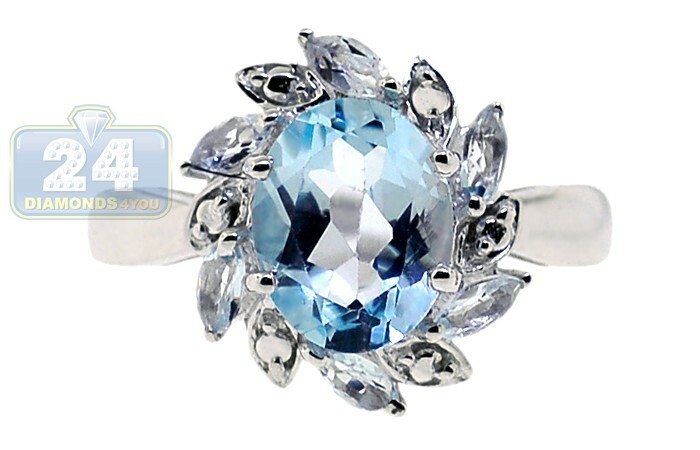 It is skillfully handmade of cool 925 Sterling Silver with highly polished shiny finish and features a shimmering oval cut blue topaz gemstone on the top of the ring. 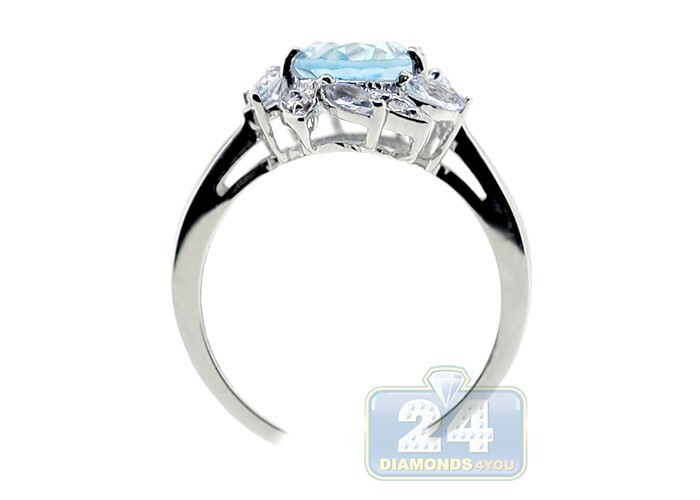 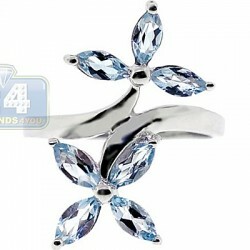 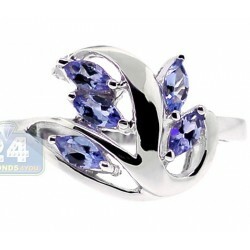 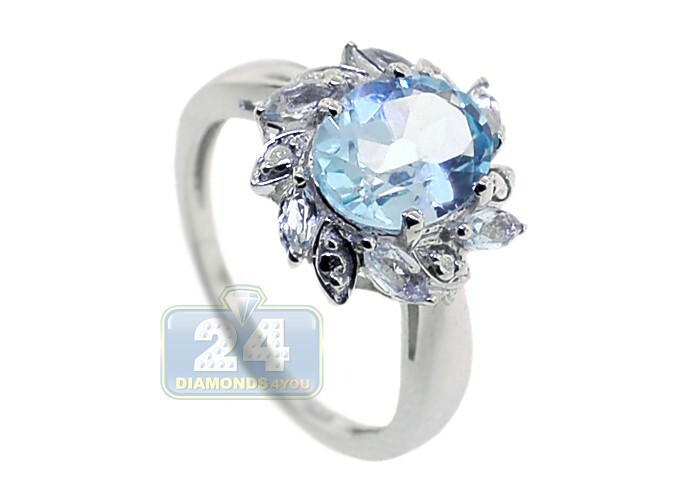 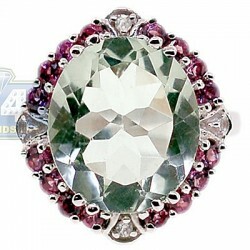 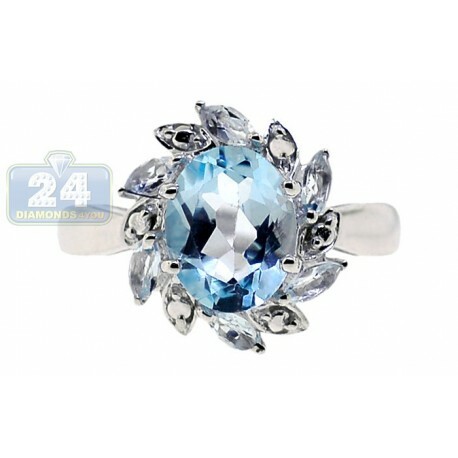 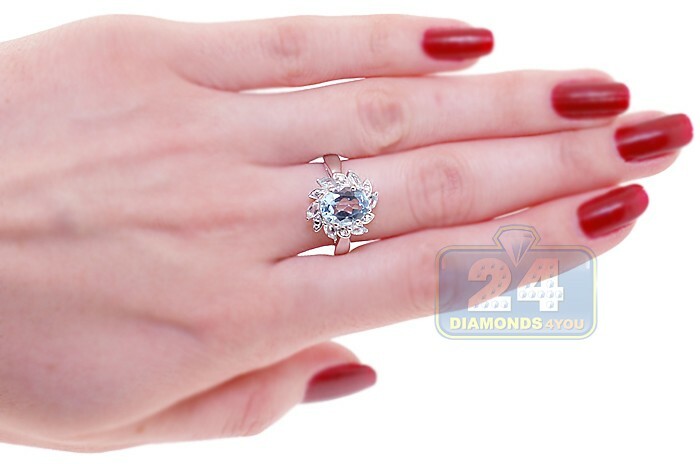 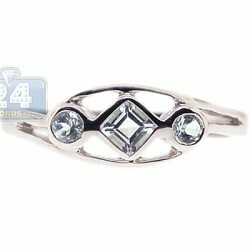 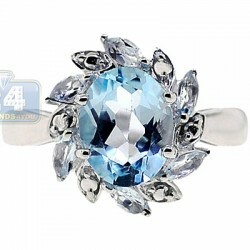 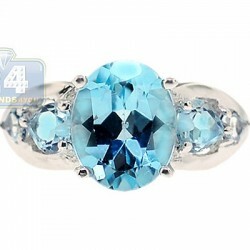 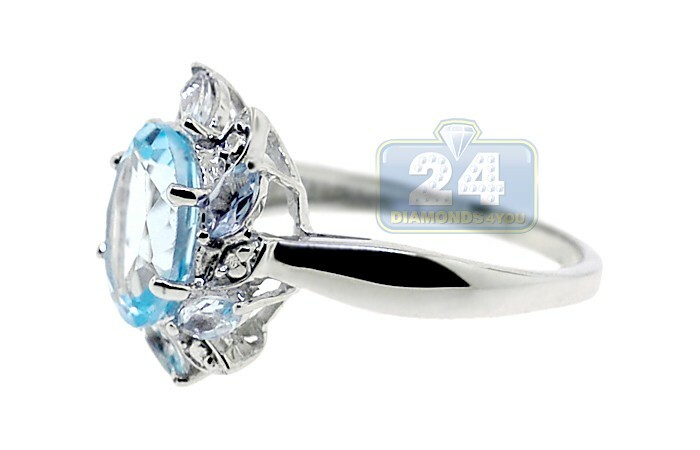 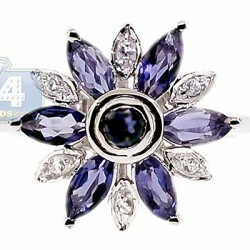 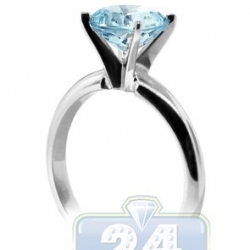 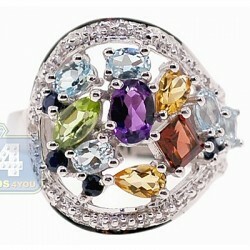 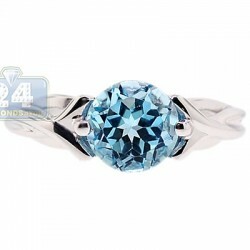 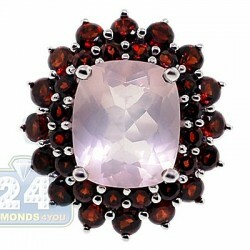 The design resembles a cute blue flower which petals are handset with sparkling marquise cut blue topaz gemstones as well. 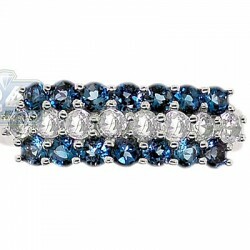 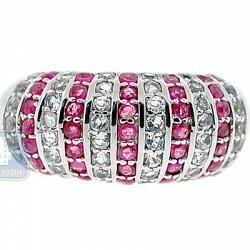 What a stylish accessory to add to your daily look!